I've been explaining about the front fork geometry in the last two posts, and doing some measurements to check for anything weird before cutting and welding on the second bike. I explained how to interpret front fork geometry in the second post, and showed that there is a pretty wide range that can be ridden, the harder job is making it comfortable with neutral handling. 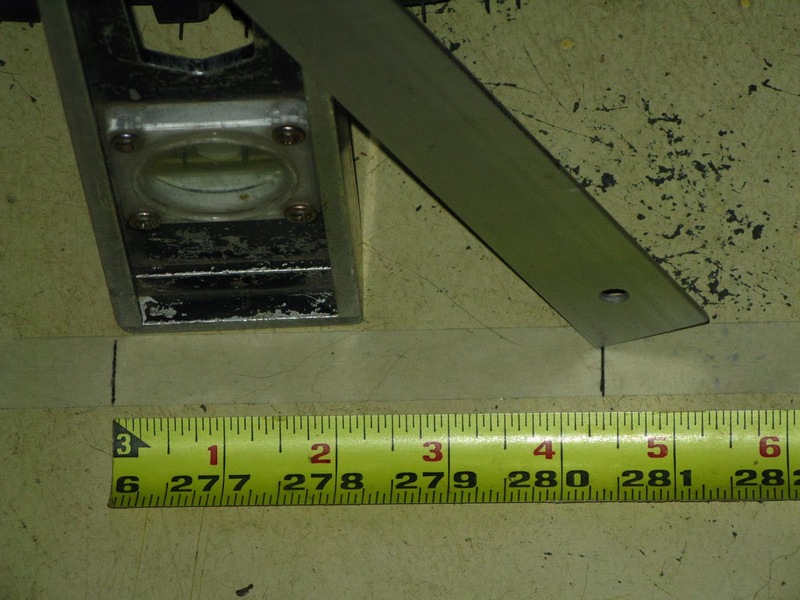 The first post was about measuring the head angle, and the hardest part of that is finding a level and flat spot on the floor for measurements. The head angle turned out to be mid range to slightly leaned back, which should give slower handling. But it's important to check trail too, which is a little more difficult to measure. -Lining up the string is similar to winding sticks used in carpentry, it takes some practice to look at the sticks square on so that there is no parallax error. Because the string would need to be out 3 inches to clear the fork, the chance for error would be worse. -The string would be at the edge, not the center line of the steering shaft, and when it hits the floor the difference would need to be subtracted. Since it hits at an angle, the chance of error increases. Then tape this onto a yardstick so that it sticks out square (perpendicular) to the side. Mark the center of the slot on the masking tape on both sides of the yardstick (so that you can flip it over for left and right sides). 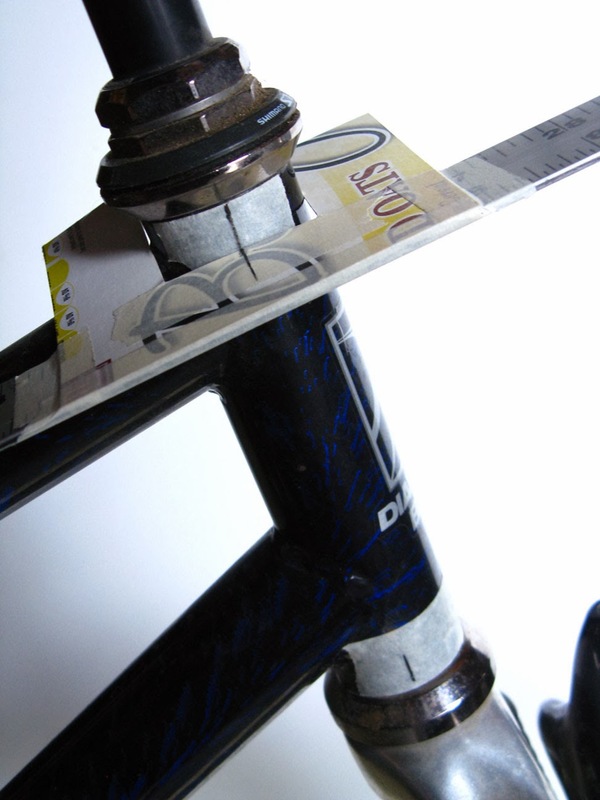 Then put pieces of tape at the top and bottom of the head tube on both left and right sides. Slide the slot over these pieces of tape while holding the yardstick against the seat tube (this keeps everything lined up square), and use the slot center marks to mark the center line on all four pieces of tape. The left end of the yardstick is resting on the seat tube, to keep everything lined up square. Do this on both left and right sides to get the center line at the top and bottom of the head tube. 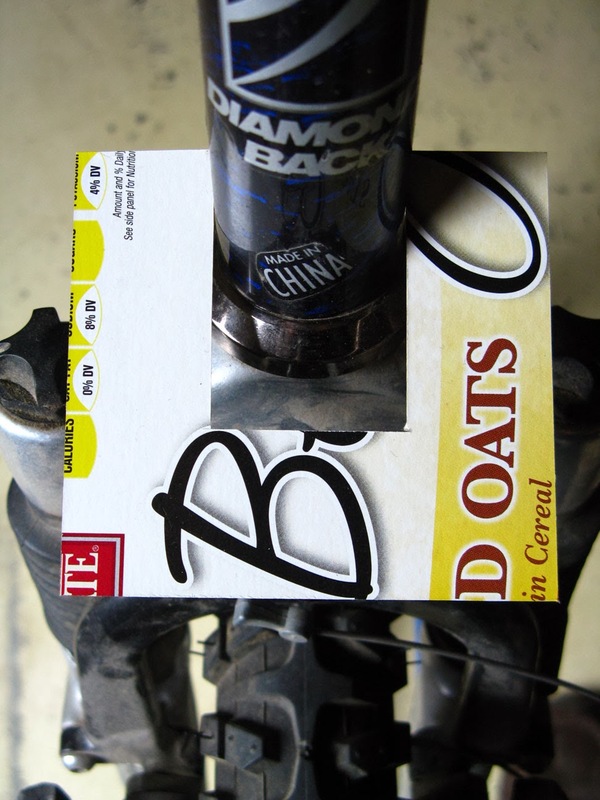 Cereal box template, finished jig, and square used while gluing the boards together. 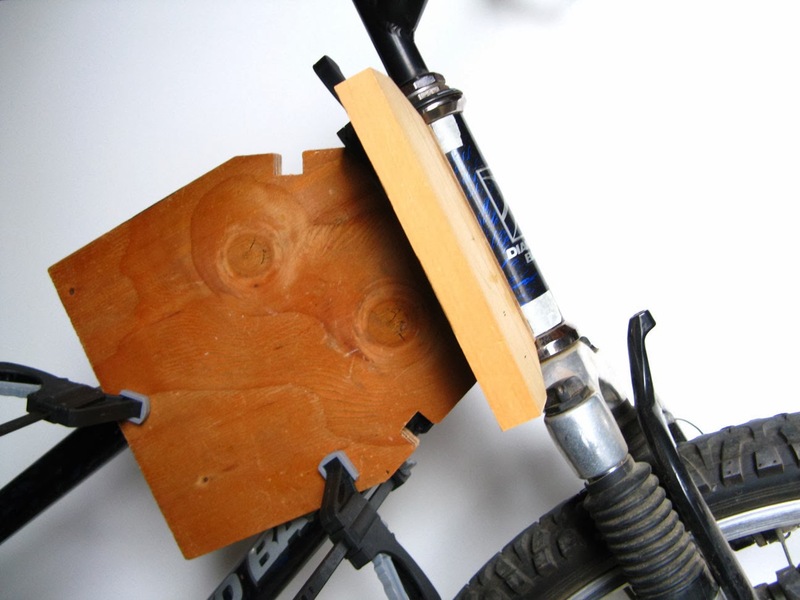 The jig clamped on to the bike, lined up with the center marks on the head tube. Note: This is on a level, flat floor, and the bike is propped standing straight up. 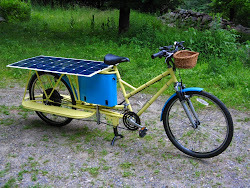 I've used a screen door spring going back to the crank to hold the wheel straight, a bungee cord would also work. 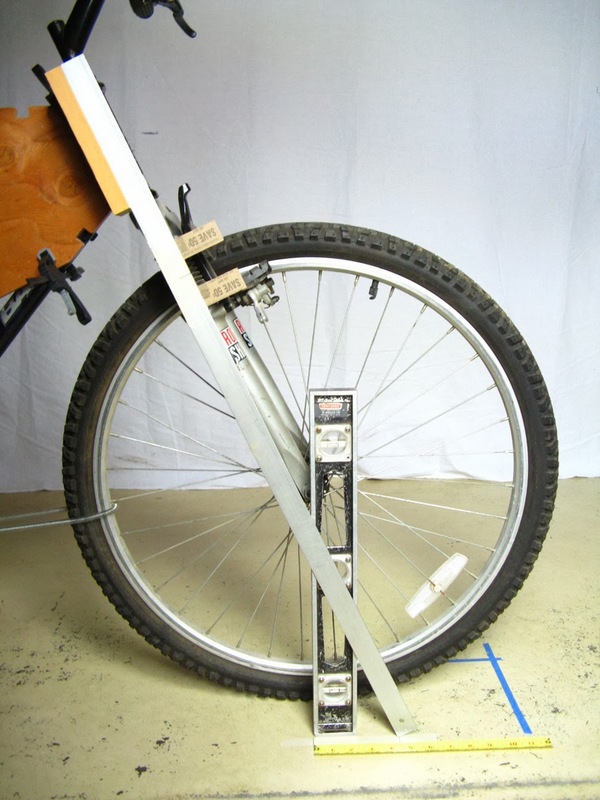 You need to measure both sides because the wheel will almost always be resting turned a few degrees left or right, and taking the average of both sides removes this error. Rest the yardstick on the center line board, let it slide down slowly to hit the floor, and mark the spot on masking tape stuck to the floor. Hold up a level that lines up with the center of the axle, and mark where it hits the floor. Measure between the two marks, repeat on other side, and calculate the average to get the trail. 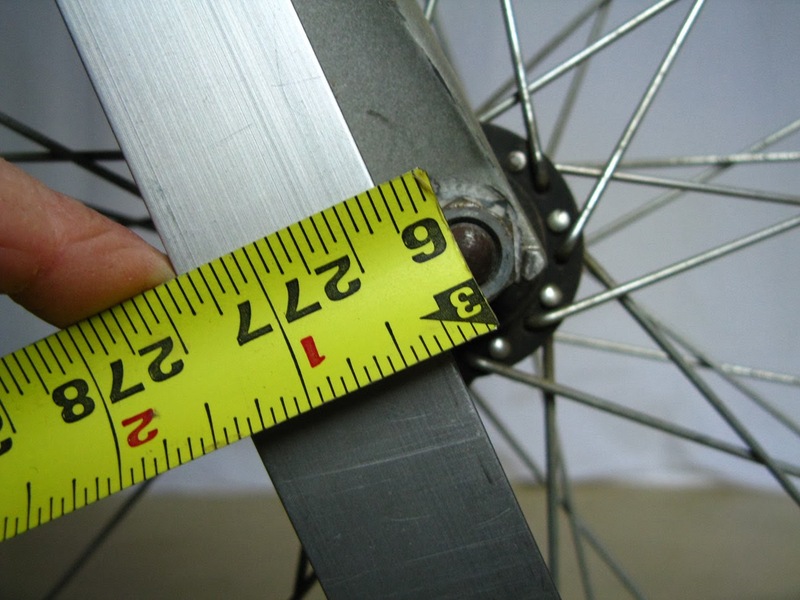 The bottom edge of the yardstick is on the fork stem centerline, and the distance from there to the center of the axle is 1 3/8", or 35 mm fork offset. Again, use the average of both sides. With a little care this method should get you pretty good results. It can be improved by watching the details, such as adding a shim to keep things square if the head tube is not the same diameter as the seat/down/top tubes. The head bearings need to be in good adjustment too. On a bike without a round head tube you might have to use the bearings or handle bar stem instead. 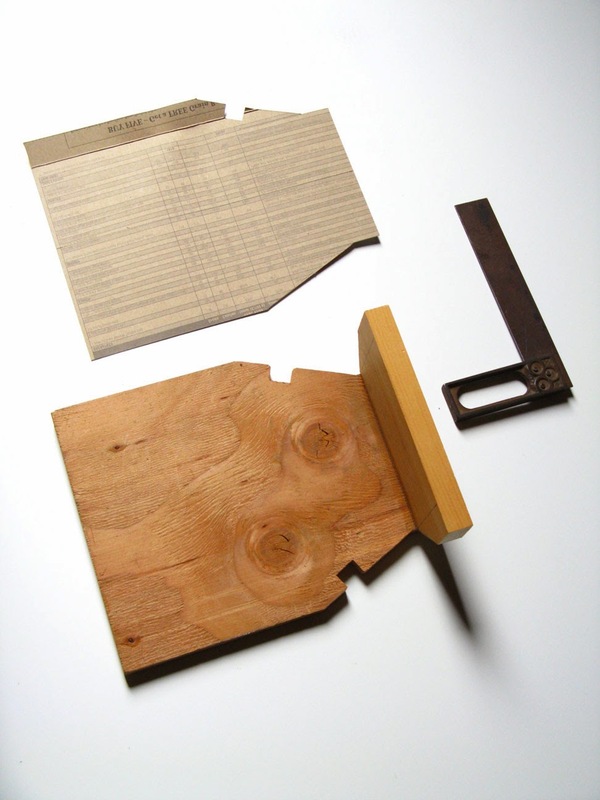 It might also be possible to make the jig out of foam core artist's board and hot melt glue so that you don't have to do wood working, but clamping it to the frame will need extra TLC and shims to avoid squashing the foam. -Stock, the crank center line is 11 3/4 inch off the ground, head angle is 68.5 degrees, and trail is 3 5/8 inch. -With the pedals dropped to a crank centerline of 10 1/4", the head angle is 64.7, and trail is 4 7/16". Dropping the pedals will put the bike on the slow side of the recommendations I've collected. I could cut the head tube tube off the down tube and reweld it back on steeper, but I think I'll leave it as is. It isn't as extreme as many choppers, and I actually desire slower handling. When riding along after 25 miles, I don't want the bike to dart left in front of a car if I scratch my back, the emphasis is on going straight. The extra trail will also make it correct it's path a little more if it gets bumped sideways by road garbage when I'm tired. 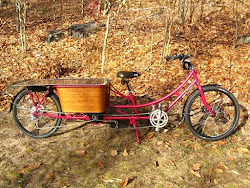 The cargo bike will have a long wheelbase (which is slower), and is heavier (slow handling again), so I may be pushing my luck by adding slower steering, but this can be an experiment, it will be good to find out how much of a difference it makes.